At some point in homeownership you will need to know how to fix your drywall. 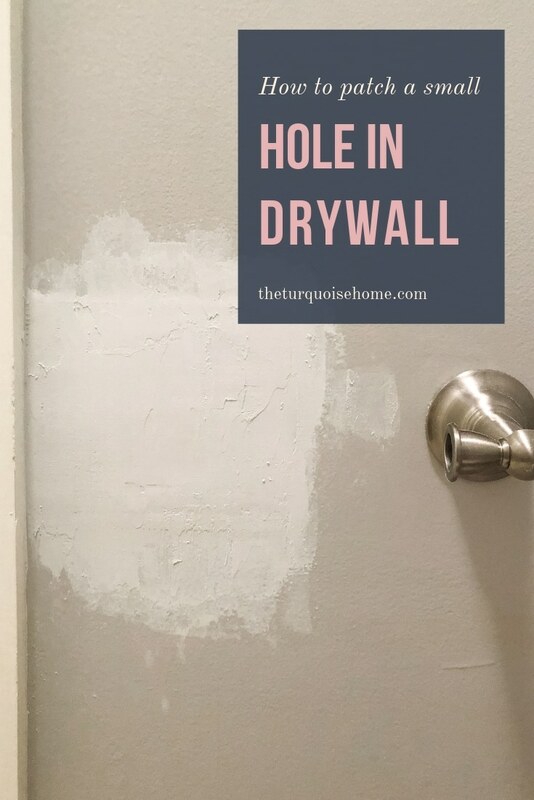 Learn how to patch a small hole in drywall here at The Turquoise Home. Maybe the kid punched a hole in the wall or the doorknob swung into it one too many times. 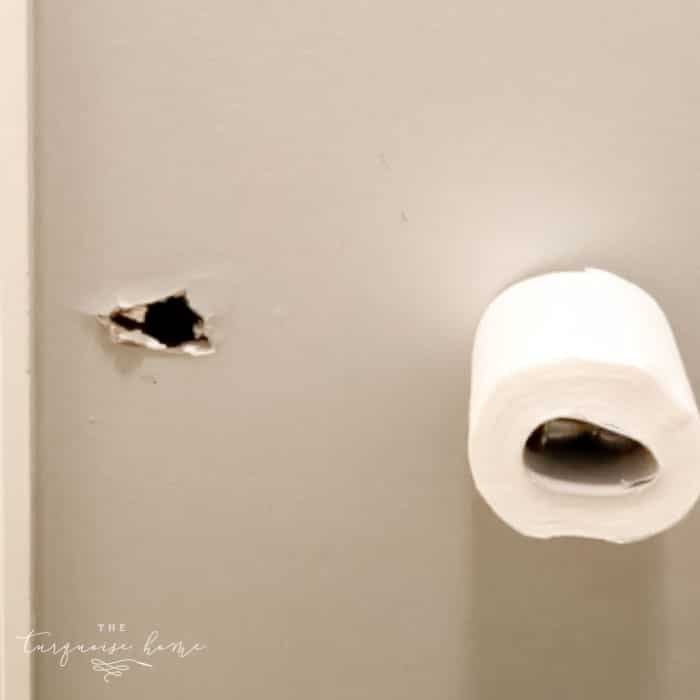 Could be that you improperly installed a toilet paper holder (like me) and it left a large, gaping hole. At some point in your home ownership, you’ll find yourself needing to patch a small drywall hole. 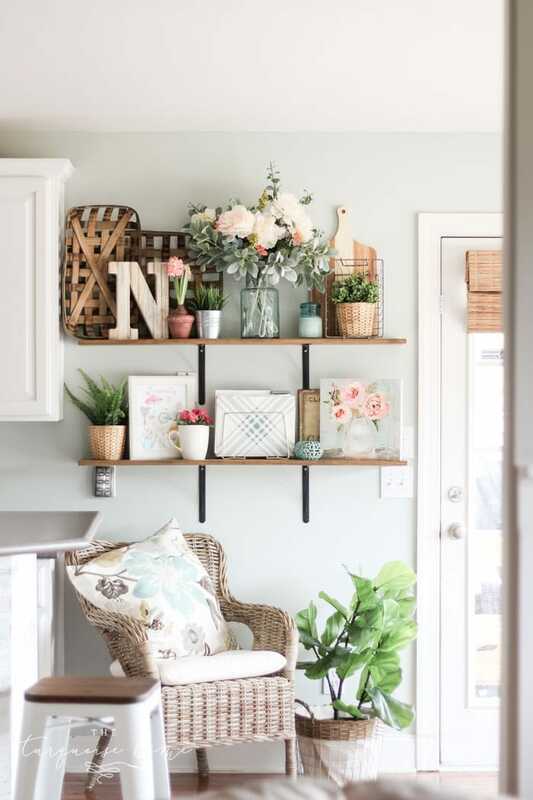 A few friends and I decided that we need to get “Back to the Basics” in some of our DIY posts, so we wanted to share very simple DIY’s with our readers. If you’re coming over from Jamie’s settee makeover (isn’t it gorgeous!?! ), then welcome! She’s giving a simple tutorial on how to paint furniture & reupholster a bench today. 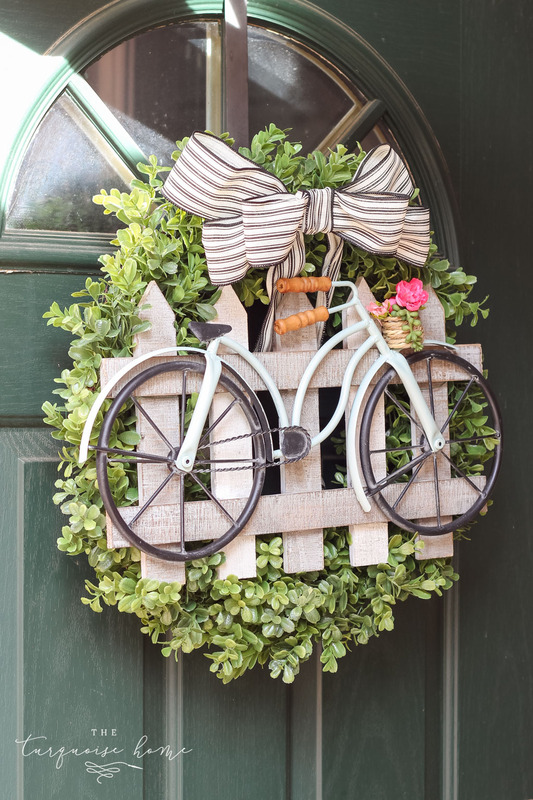 You’ll find all of their gorgeous (and basic) DIY projects at the end of this post. We’ll be doing these every other month together to get back to our roots, so stay tuned for more! 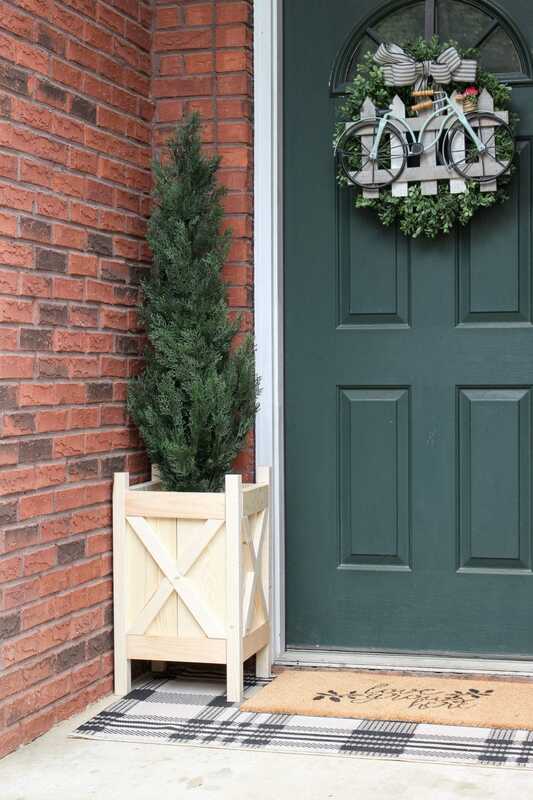 The more I own a home the more I realize I still have things to learn about home ownership. This has nothing to do with patching a hole in the wall, but the other day the light in our master shower went out for the first time in our 7 years of ownership. And by golly we had no idea how to change the lightbulb in it! I tried to fiddle with it, but for fear of breaking it, I just left it alone for about a week. And then I did what I always do (and should have done a week earlier) and googled how to change the light bulb in a shower. Lo and behold multiple posts and videos came up to share how to pull the light fixture completely out of the ceiling and then change the bulb. 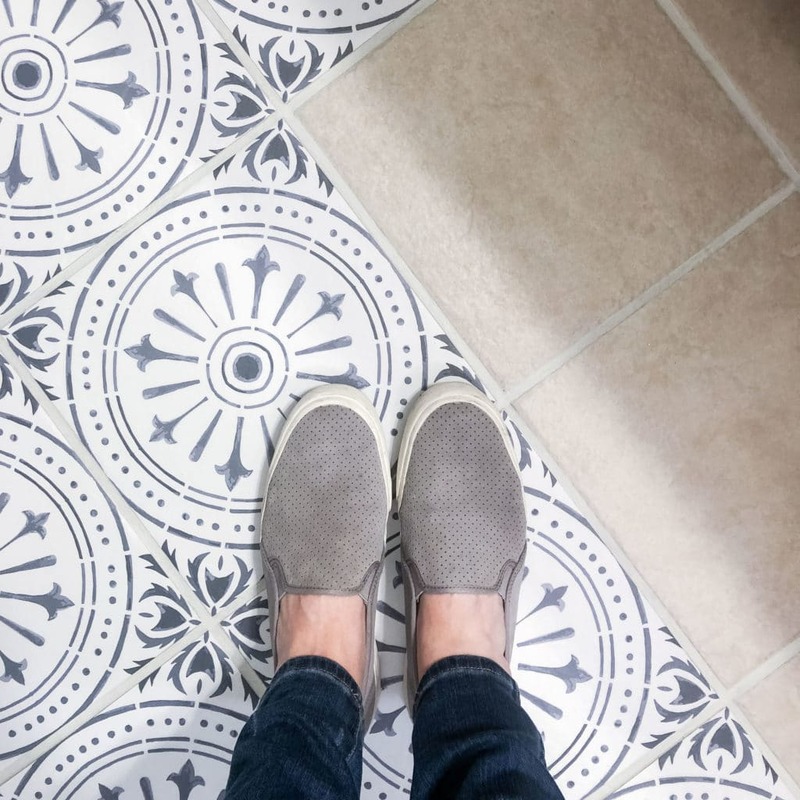 It was something so simple and probably many people know, but it reiterated to me that some parts of home ownership, while they can be incredible easy and simple, are still foreign until you’ve done them for the first time. I’ll admit that I was slightly embarrassed the think of myself as a DIY home blogger having to google how to change your shower light bulb. 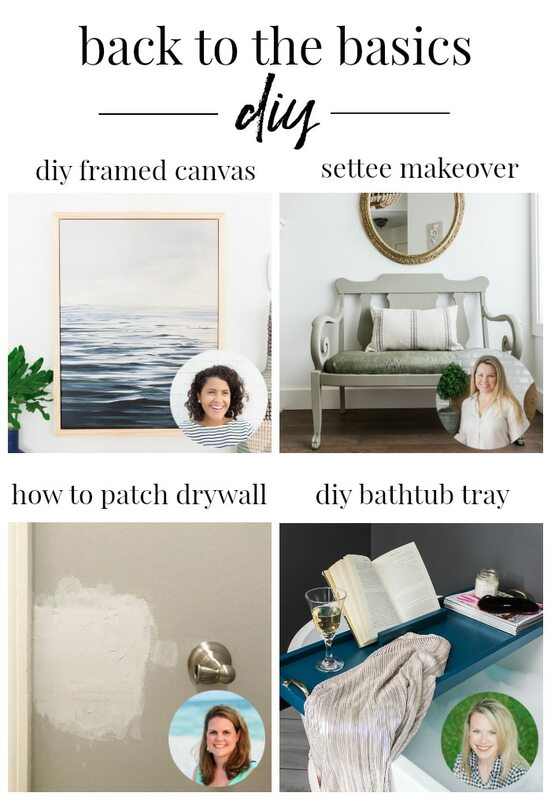 Allllll that to say, that today’s topic might seem very basic to some, but I assure you that this basic tutorial for how to patch a small drywall hole will come in handy someday. Another story alert: Growing up with 5 younger brothers, we experienced our share of broken dry wall. As my brothers got a bit older and the holes in the dry wall happened because of brotherly love fighting, my dad made them fix the drywall. I remember them going to the hardware store to grab some extra drywall and cutting it down to the right size. 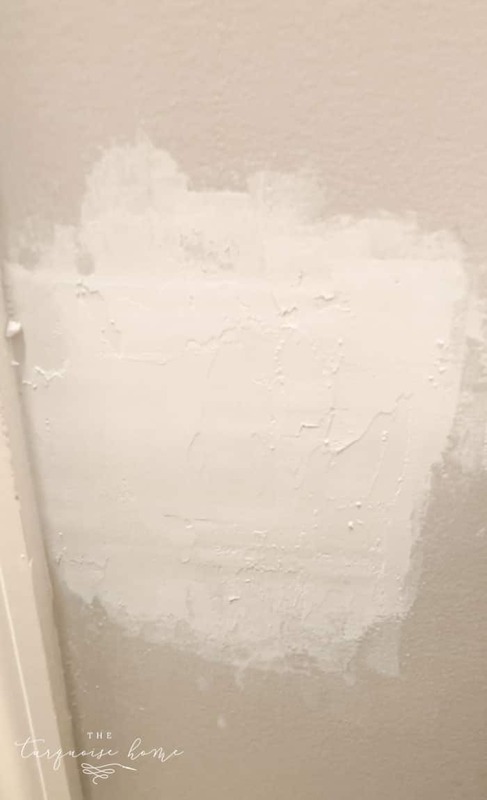 So, when it came time to fix my hole in my drywall, caused by a poorly installed (by me) toilet paper holder, I thought I’d be cutting some new dry wall and doing an extensive repair. 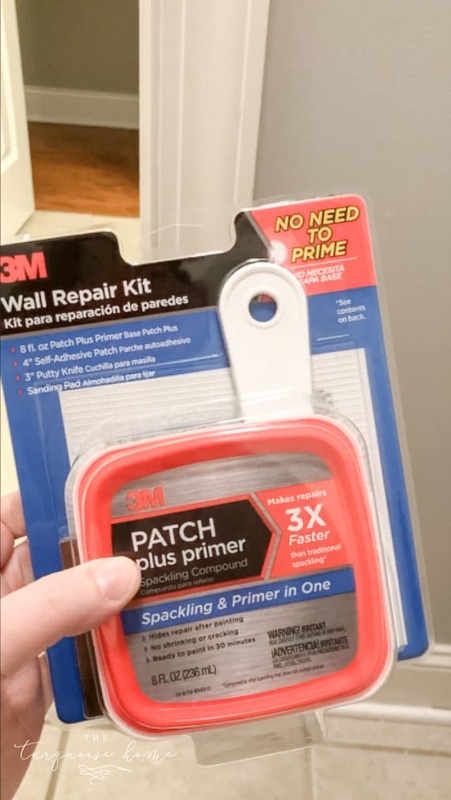 While I was purchasing the sparkling compound, I saw this drywall repair kit. I was intrigued, so I took a closer look. And it looked like just what I needed! My hole that I needed to patch was about 2.5 inches in diameter, so this patch was perfect. I mean, I knew that I wasn’t going to be able to just slap some compound on the hole like it was a nail hole. It was just too big. 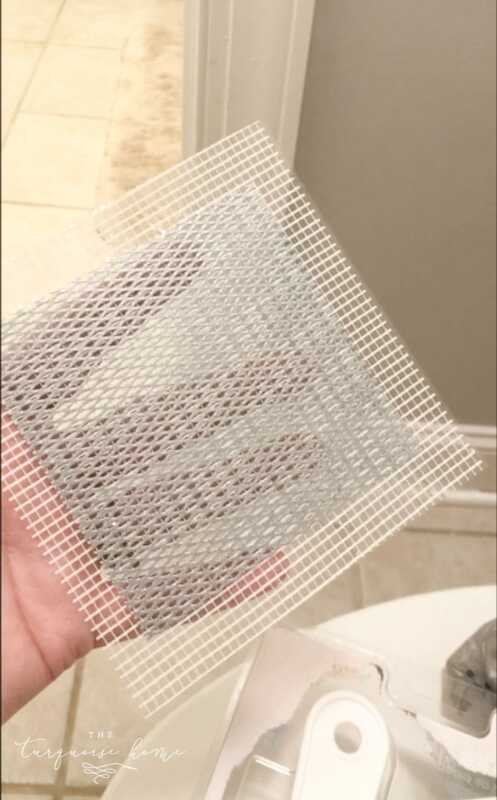 But the mesh plate was going to be perfect for covering the small hole in my drywall and keeping the sparkling compound from falling down into the hole. 1. Sand the area clean and free of debris. 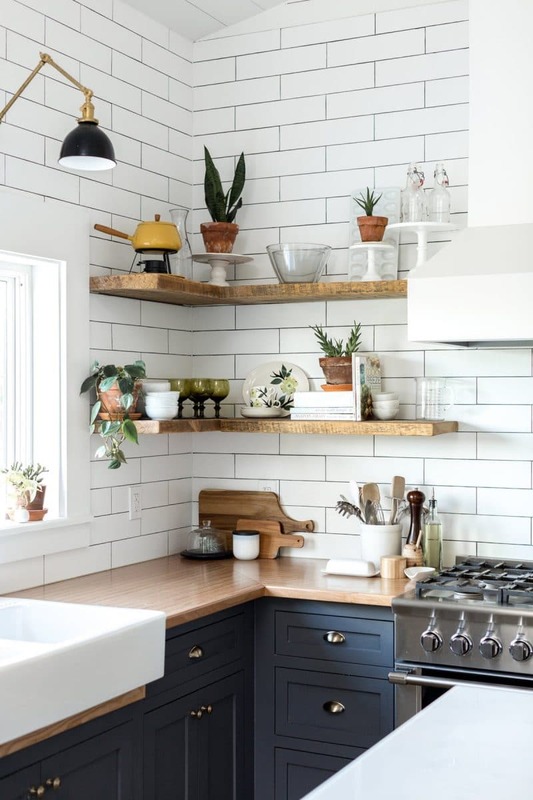 Knock off any extra drywall on the edge of the hole to achieve a flat working surface. 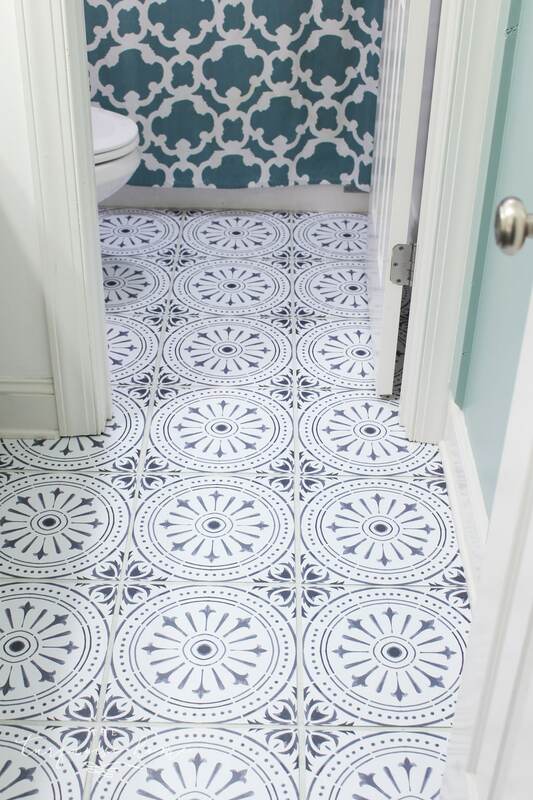 Remove any wallpaper around the area if the wall has wallpaper on it. 2. Wipe the area clean, making sure it’s free of dust particles. 3. 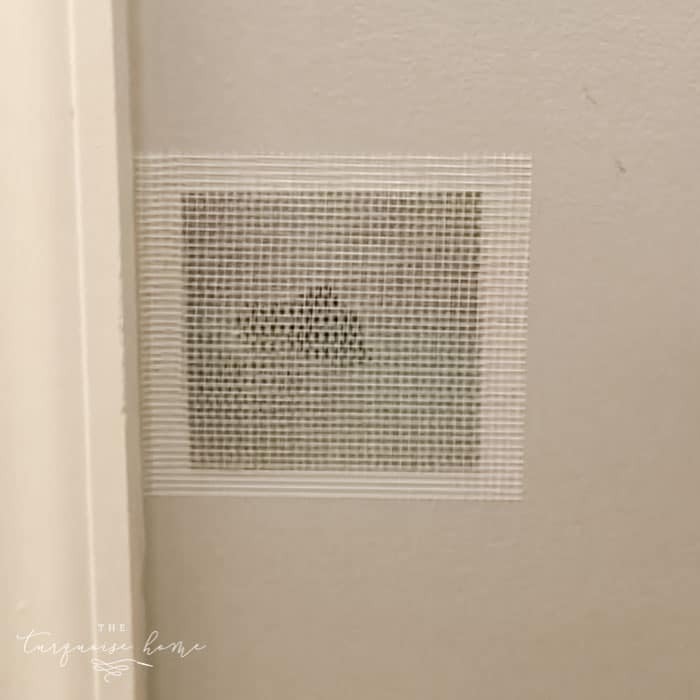 Remove the backing from the adhesive screen patch and apply firmly over the drywall hole. 4. 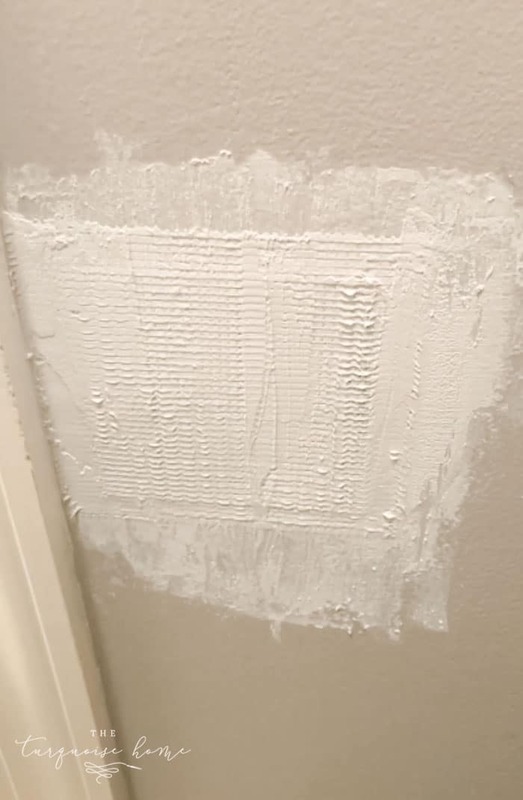 Apply a thin layer of spackling compound over the screen patch until you have reached an inch past the edge of the patch. It won’t be pretty, but we’ll do this a few times to make it look nice! Let it dry for 2-3 hours. 5. Sand the spackling compound until smooth. 6. Repeat step 4 and 5 until you have a smooth area and can no longer see the screen patch. I had to apply 2 thin layers for mine to look good and smooth. 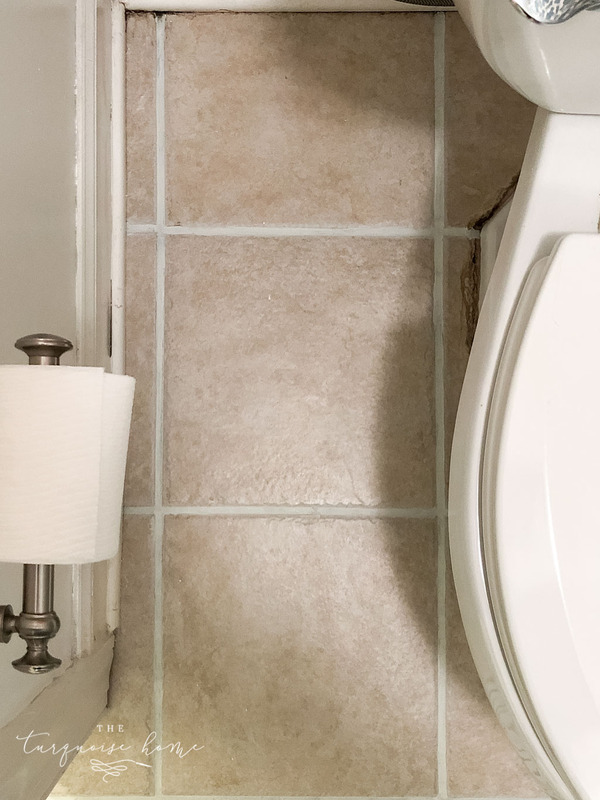 Be sure to really smooth down the edges of the spackling to make sure they are flush with the wall. 7. Now you’re ready for paint! Be sure to follow along on the tour and check out Jenna’s bathtub tray with book holder next! 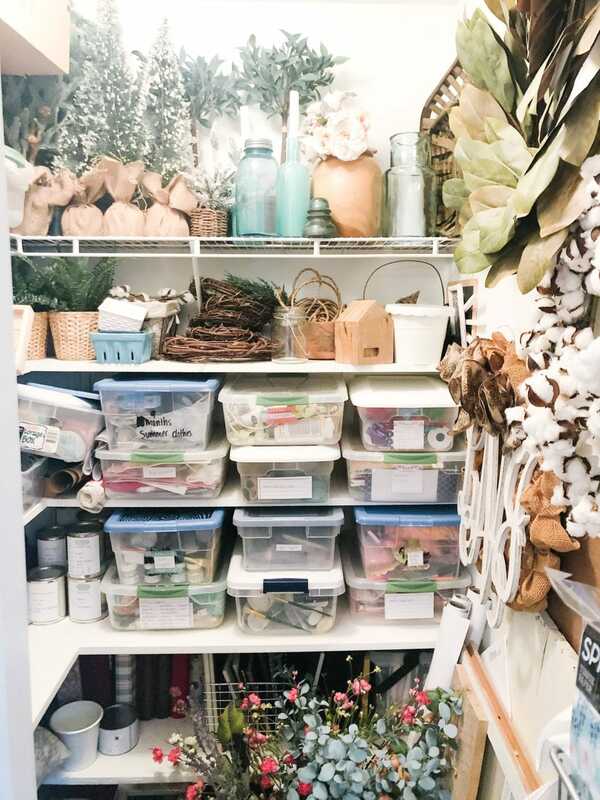 If you enjoyed this post or would find it helpful later, please save it to Pinterest or even share it with a friend! And comment below if you have any additional tips or tricks. We’d love to learn from each other!